Why Do Onions Make You Cry - The Answer is in the Soil. Peeling onions is something that many cooks do on a daily basis but the job brings along tears. Do you know why onions make you cry? There are many types of this versatile vegetable and most will make you cry when you chop them. 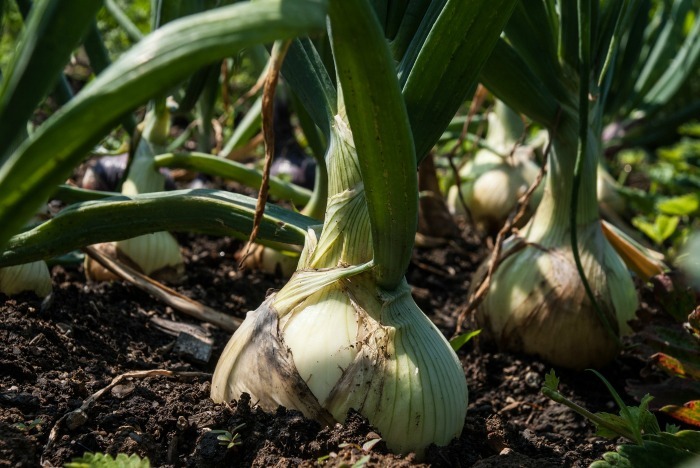 Find out about the onion varieties here. For years, I wore gas permeable (hard) contact lenses, and I used to just laugh when people told me that chopping onions made them cry. The hard contacts worked wonders for me in making sure that I never had that problem. In my mid 30s, I stopped wearing contacts and since then I have rued the days that I doubted this fact. Unless you never step foot in a kitchen (or wear contact onions) you will likely have a flood of tears when you chop onions, too. 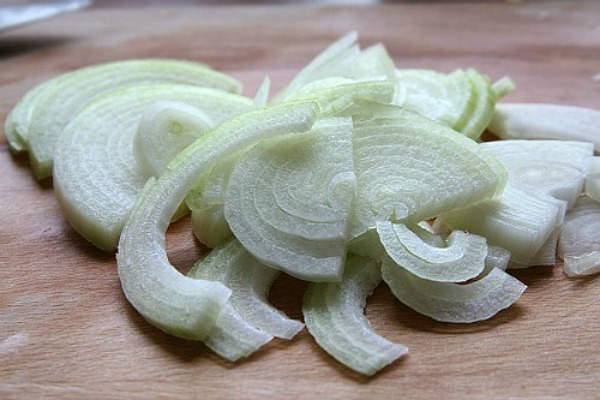 When I slice them now, even being around the onions long after I have chopped them makes my eyes water profusely. 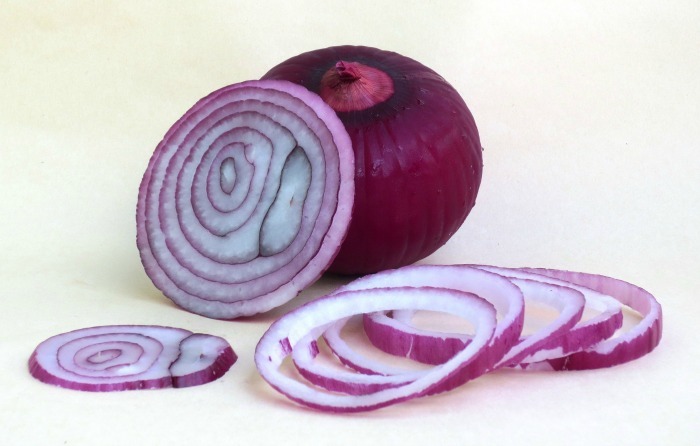 It may surprise you to learn why onions make you cry. This volatile sulfur compound releases a gas that reacts with your eyes to produce the tears. The crying is just your body trying to wash away the irritating sulfoxide gas from the eyes. Sometimes the tears are minor and other times it is a full on tear jerker. I have also noticed that the more finely I chop an onion, the more tears I produce. 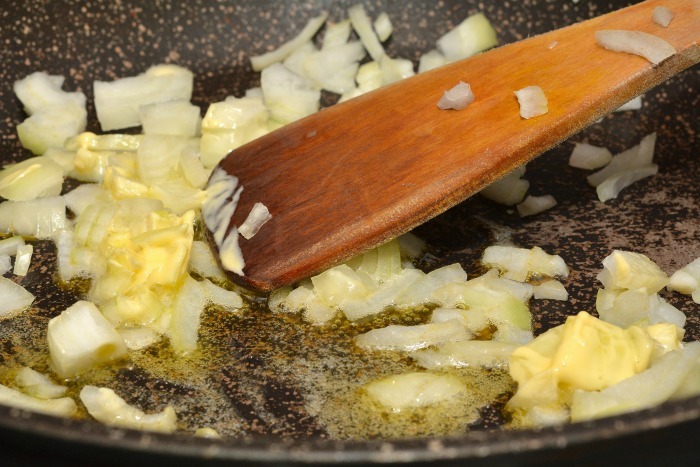 You have probably noticed that cooking the onions don’t make you cry. This is because the cooking process inactivates the sulfoxide. 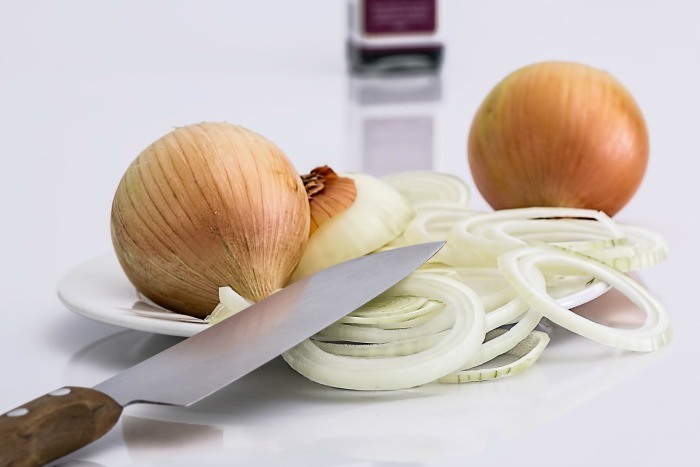 There are many tips that will allow you to slice onions without crying. My favorite one actually wastes part of the onion but works like a charm. For more cooking and home tips, be sure to visit my Household Tips Board on Pinterest.